The franchise is currently run by Stagecoach, which owns 90% of the franchise, while Virgin has a 10% stake. 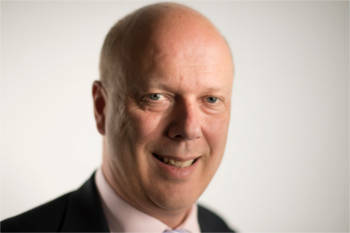 However, Mr Grayling told MPs that he will terminate VTEC’s contract on 24 June, with an Operator of Last Resort taking over the East Coast Mainline ‘through the recreation of one of Britain’s iconic rail brands, the London North Eastern Railway'. However, this ignores the fact that VTEC had promised to pay the Government billions of pounds in premiums up to the original end of the franchise in 2023. Lilian Greenwood, chair of the Commons Transport Committee, said: ‘Three times in less than a decade, the Government has been forced to intervene in the East Coast rail franchise. It is a very sorry tale. Paul Plummer, chief executive of the Rail Delivery Group, which represents the rail industry, said: 'The private sector in rail, including Stagecoach Virgin on the East Coast route, has brought significant benefits but we have already been making the case to government for reform. Cllr Judith Blake, leader of Leeds City Council, said: 'We saw between 2009 and 2015 how a publicly operated line can deliver real improvements to services and customer satisfaction. However the end of yet another private sector franchise will bring no joy to passengers or businesses in Leeds.